Oh man, one of the best materials/textures ever used on a smartphone is back, thanks to OnePlus. Anyone remember the iconic Sandstone that was used back on the original OnePlus One and 2? It’s back on the OnePlus 5T, only this time in white and as a limited release. YES. We loved Sandstone so much because it offered a bit of texture to the original OnePlus phones that no other phone had. It wasn’t matte and it wasn’t polished and it wasn’t glass. The Sandstone coating added grip, a bit of weirdness, and it looked pretty cool. It felt like no other phone in-hand, in a good way. OnePlus says that they have been trying to bring Sandstone back, only it has been difficult to do now that they’ve switched to all metal phones. Instead, they’ve basically just been releasing Sandstone cases alongside their phones since the OnePlus 3. For the OnePlus 5T (our review), after over 100 prototypes, they’ve settled on a 4-layer texture “with a comfortable grip and a natural, minimalistic appearance” that brings Sandstone back. It’ll be available on January 9 at 10AM Eastern in a 128GB/8GB configuration and cost $559. 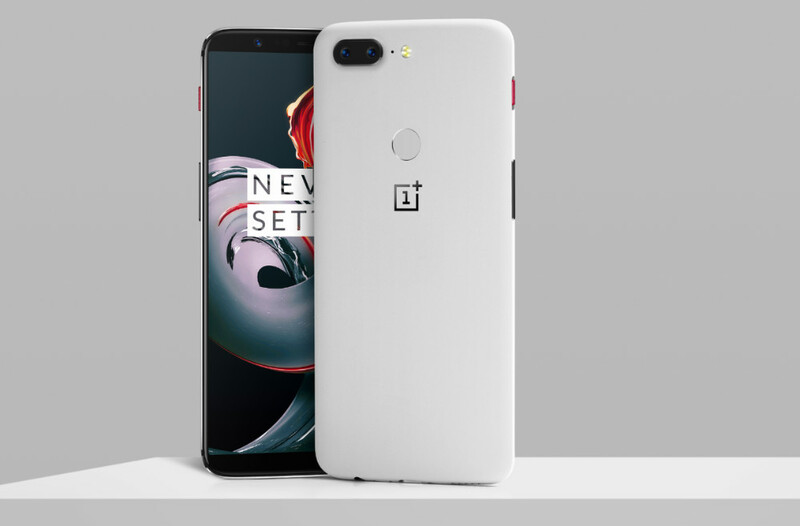 OnePlus says that because of the difficulty making this Sandstone White OnePlus 5T, it will be available in very limited quantities.